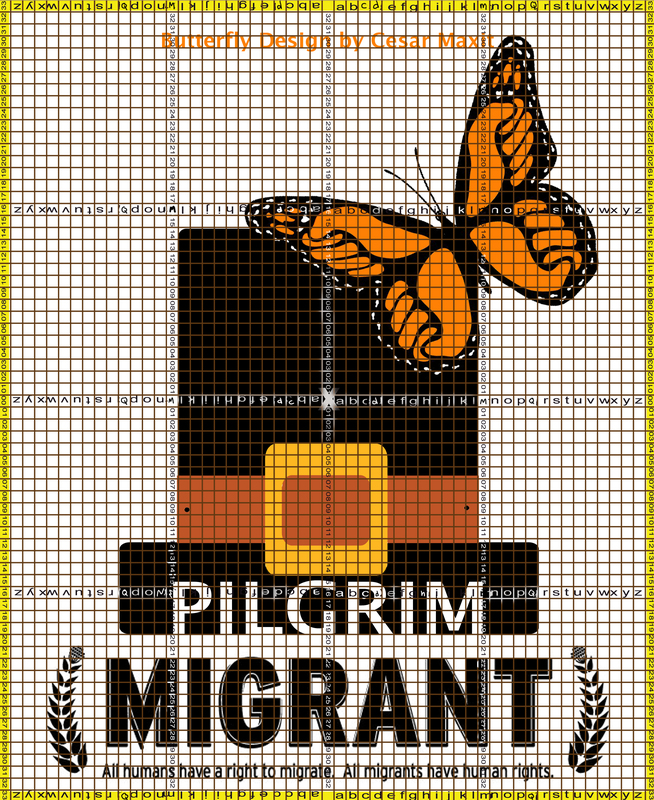 The image was a pilgrim hat with a monarch butterfly alighting on it. 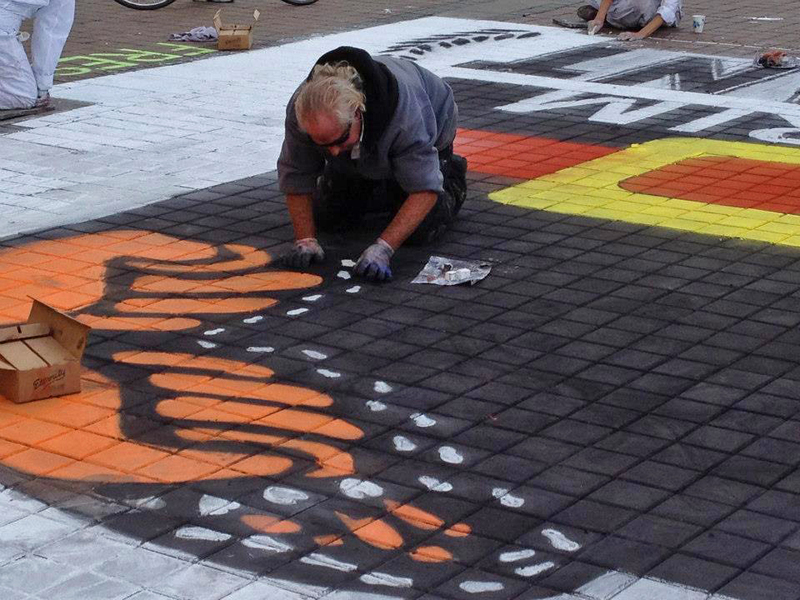 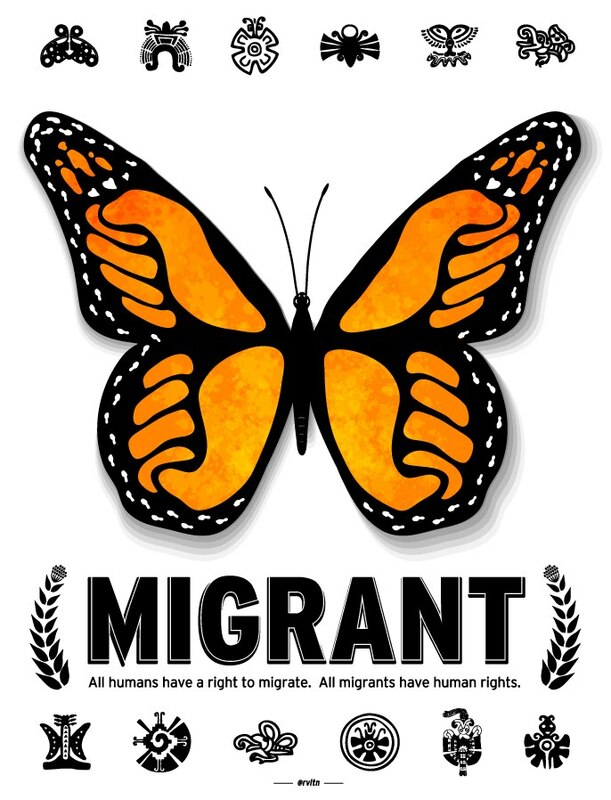 (Monarchs are the movement’s symbol of migration and this design that we borrowed had the orange part of the wings with the veins made the shape of fists and the little white spots around the edge were footprints.) 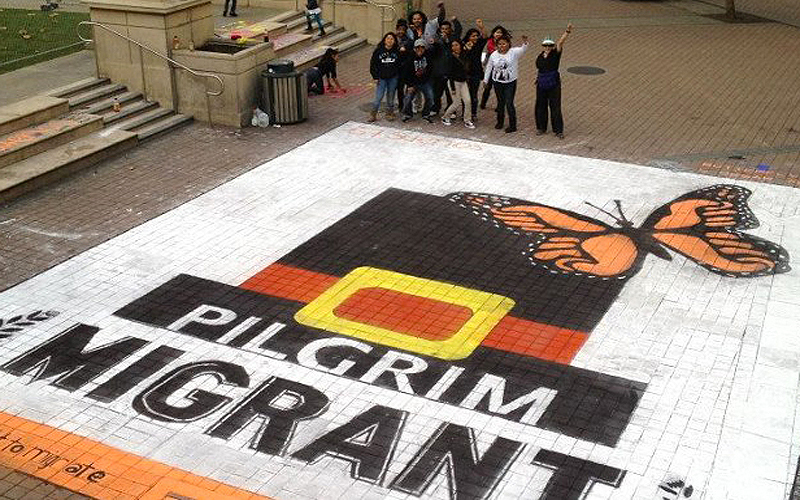 The text was Pilgrim = Migrant. 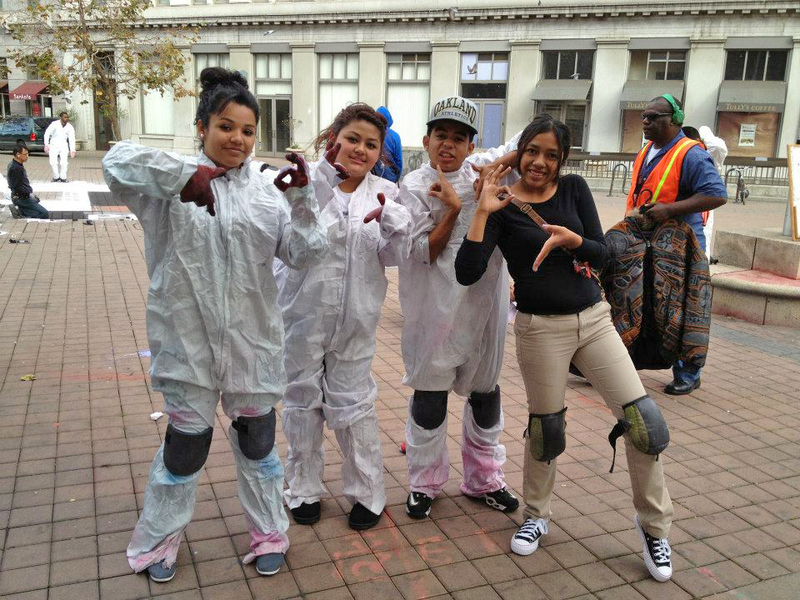 For Thanksgiving. 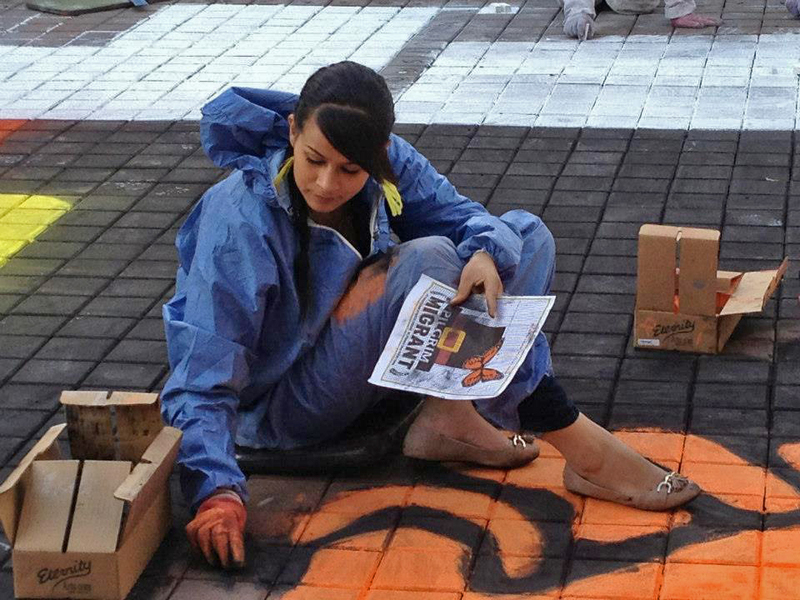 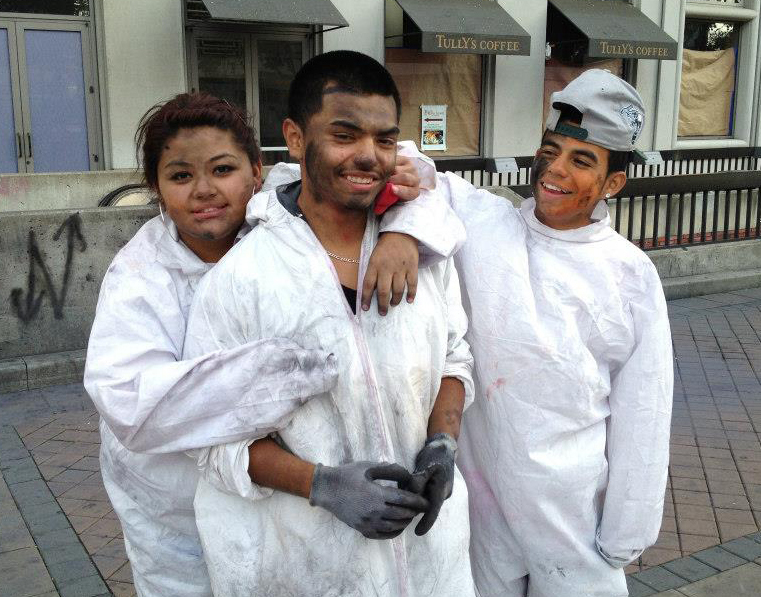 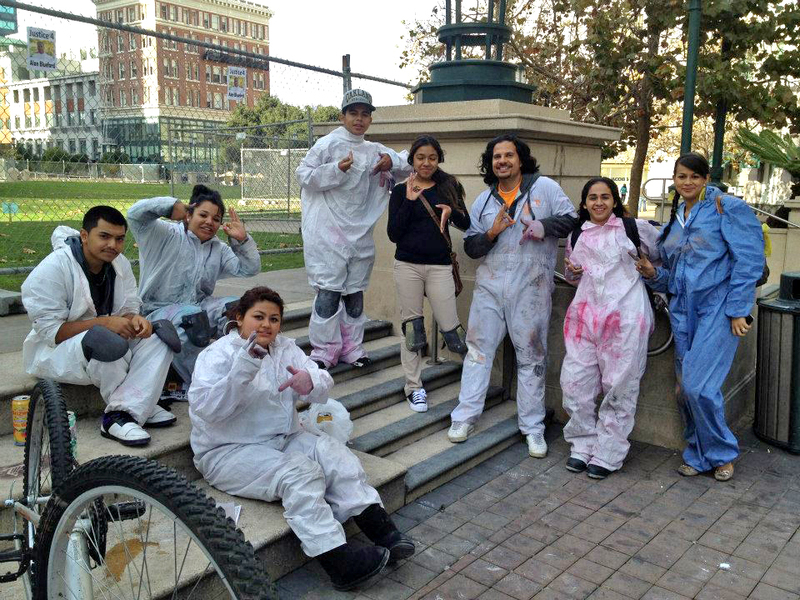 We worked with a Latino Organizer, Pablo Paredes, who brought a whole crew of young Latinos who chalked it up with us.